If you’re tired of Windows errors and build issues, it’s time that you be part of the solution! Users can opt in to Window’s Insider Track, and receive new features that help improve the functionalities of your software to help Windows 10 be the best version of Windows that’s been published. There are a lot of new features that Build 14267 brings users who update their current program build. Users don’t have to do updates, but they do come with cool upgrades. Easier ways to find music you like— with Cortana’s help. All you have to do to find your music is start Cortana, simply pushing the symbol that looks like music notes in the far upper-right corner. Cortana then opens up, listens to the song that’s playing, and searches for it online. 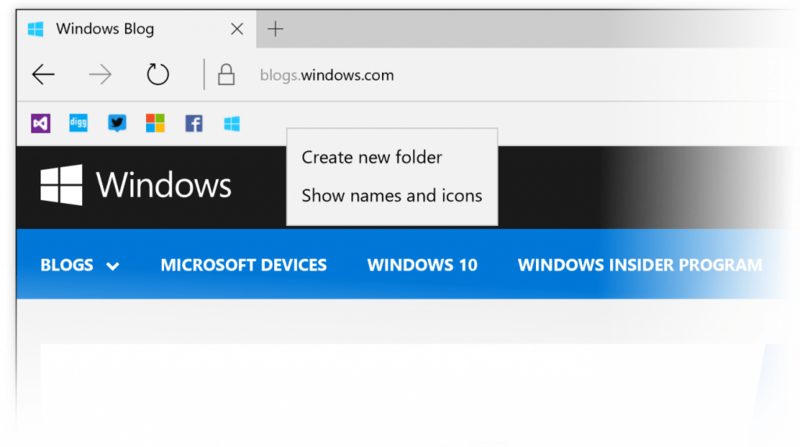 Improvements to the favorites bar on Microsoft Edge browsers. Do you use Microsoft Edge? 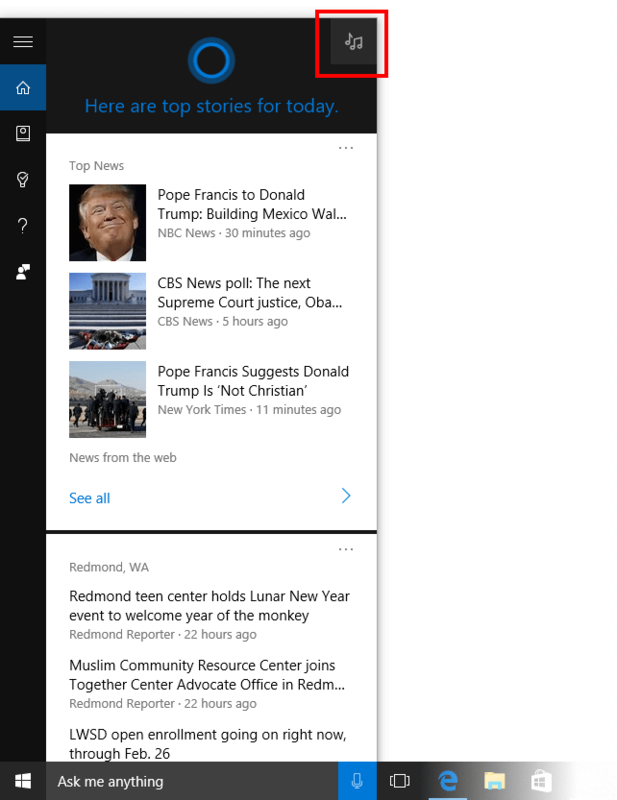 If you do use Edge, do you use the favorites bar? If you right- click with the new Build 14267 model, you can have it only show the favicons to open up more bar space. Try it out! You can add folders, name them, and customize everything, too. Attach photos to Skype messages, click on the paperclip icon, and compose Skype messages for contacts. Use the camera app and take photos to Skype adding messages and sending your location. The front-facing camera works again, with Intel RealSense cameras. Enjoy using Windows Hello, if you did previously. Storage capacity displays have been fixed, showing the settings on system volumes under Settings > System > Storage. Microsoft suggests contacting them via the Windows Feedback app if you encounter any issues.